Tiger Woods is receiving help to manage his medications. 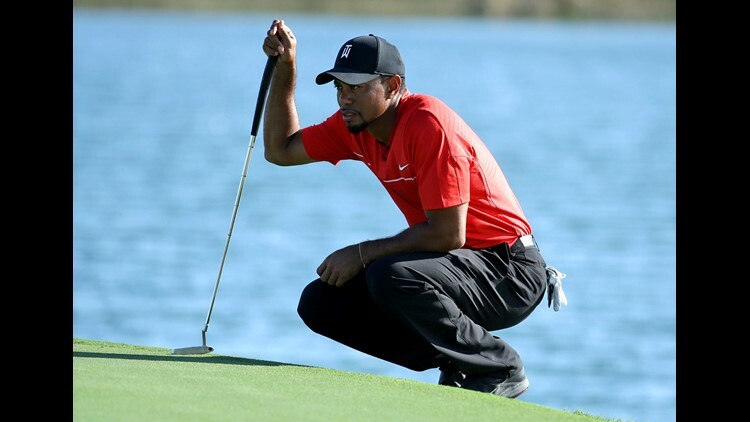 JUPITER, Fla. (AP) — Tiger Woods is receiving help to manage his medications. "I'm currently receiving professional help to manage my medications and the ways that I deal with back pain and a sleep disorder," Woods said in a statement on Monday night. "I want to thank everyone for the amazing outpouring of support and understanding especially the fans and players on tour." Woods was charged with driving under the influence after police in Jupiter, Florida, found him asleep at the wheel of his Mercedes-Benz about 2 a.m. May 29. Breath tests showed no presence of alcohol, but Woods told officers he had a reaction to several prescription drugs, including Vicodin and Xanax. His arraignment has been delayed until Aug. 9. Woods could qualify for a diversion program in which the DUI charge is downgraded to reckless driving, which results in probation, fine and other conditions such as taking a DUI course.